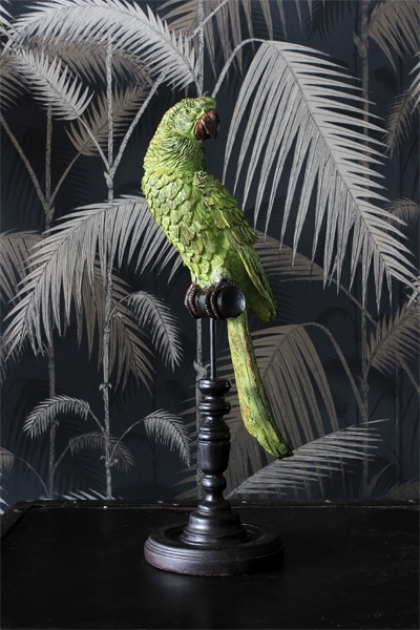 This large green tropical parrot is lovely to display, sitting on top of his perch. He looks wonderful surrounded by plants and tropical foliage. The parrot measures 44cm total height and 13cm across the diameter of the base.